Australia — November 9th, 2018 — Red Education, the leader in specialist IT training in Asia Pacific, today announced that it has been appointed by Pure Storage, the all-flash storage platform that helps innovators build a better world with data, as its first Authorized Training Centre in the region. This appointment will allow Pure Storage to focus on bringing further growth to their business and supporting their existing customers and partners, with Red Education ensuring that they are equipped with the knowledge and skills they need to extract the ultimate value from Pure Storage’s solutions. “With the publicized data storage skills shortage, Red Education continues to take action by partnering with Pure Storage to bring a regular schedule of training courses on Pure Storage Administration across Asia Pacific region,” said Zach Zuravle, Managing Director at Red Education. Red Education will provide hands-on courses consisting of lectures, labs and discussions. All Pure Storage courses will be available in-class, on-site and virtually. 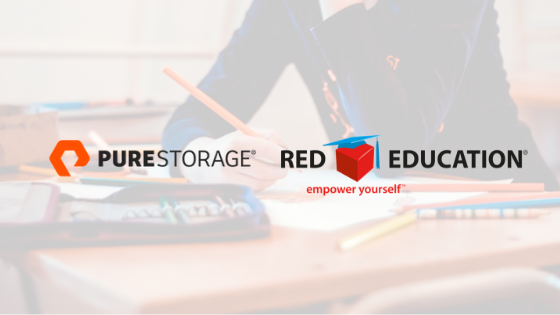 Red Education will be delivering Pure Storage courses starting from November 2018. To view the available Pure Storage training courses please visit Red Education’s course schedules.